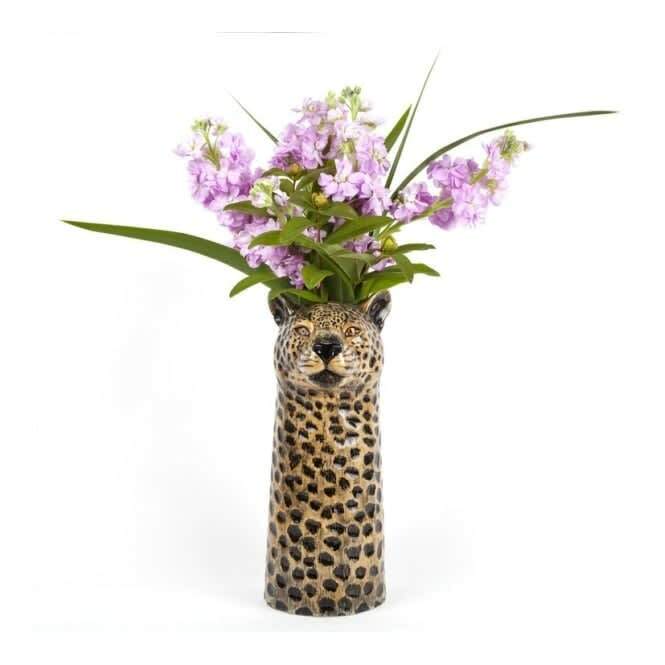 This leopard vase is a new addition to our collection of wildlife themed vases. The hand-painted detail of its face and leopard spots just demand your attention. It would look equally good filled with a bouquet of exotic flowers or standing alone as a quirky addition to a shelf or windowsill. Design House Norwich in Norwich, United Kingdom.